Having just trashed time travel in a previous post, I thought I’d cover two books that use it in unusual ways as a plot device, one book an old favorite, the other a recent book I’ve just read. The old favorite is Daphne du Maurier’s The House on the Strand (1969), the newcomer is Ransom Riggs’s Miss Peregrine’s Home for Peculiar Children (2011). Daphne du Maurier (1907 – 1989) was a much beloved writer of romantic suspense novels in your parents’ or grandparents’ day, with Rebecca (1938) being the most famous. But every so often, du Maurier would take a turn into the weird and gothic. This is the woman who wrote “The Birds,” which Alfred Hitchcock turned into a memorable 1963 film. The House on the Strand is one of her last novels. It combines her romanticism with her weirdness, and adds a touch of cynicism. Simply put, a man with problems of his own in the present takes a drug which sends him to see other people grappling with their problems in the past. 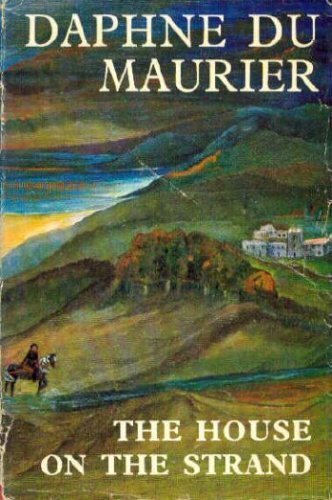 Du Maurier freely adapts the house she was living in and its 14th century history as the setting for the story in both time periods. What makes the story work for me is how du Maurier uses the 14th century story, the present-day story, and even the method by which the protagonist goes between time periods to create related moral dilemmas for the protagonist. And like The Turn of the Screw, one can even wonder exactly what is going on in the book; that’s how thoroughly time travel is integrated into the protagonist’s perspective. Time travel is integral to the plot, themes, and characters of the book, not just a vehicle to transport the protagonist to some other more interesting time. Is she floating in mid-air? Ransom Riggs is a new author, with Miss Peregrine’s School for Peculiar Children his first published novel. I have to admit that what got me to buy his book was the combination of a discount at my local bookstore . . . and those vintage photographs! The book is just full of reproductions of old, weird photographs, on which Riggs used to hang the plot of his story. It reminded me right away of a book that used photographs in a similar way, but in a different field, Michael Lesy’s historical analysis of death in the late 19th century, Wisconsin Death Trip (1973). Riggs’s novel combines “Nazis are evil monsters” with “Professor Xavier’s School for Gifted Youngsters.” The reason time travel is needed? The novel begins in the present, but its fulcrum is several days that happen on September 3, 1940. If you’re wondering just how several days happen on just September 3, 1940, you’re beginning to appreciate the odd way time travel works in this story. And no, it’s not just a Groundhog Day type of experience going on. Peregrine is not as tightly organized as House, nor as deep. It’s ultimately a fanciful adventure story, in which our protagonist confronts a variety of external mysteries and threats (unlike House, where at least some of the mysteries are psychological). The characters are reasonably well-developed, though the situation most of them are in doesn’t allow for deep character development. And, it must be mentioned, the book is the first volume in what I suspect will be a trilogy. So it does tie up some plot threads, but leaves others dangling. If you want a nice historical time travel fantasy adventure with the bonus of a creative use of odd vintage photographs, then Miss Peregrine’s School for Peculiar Children is for you. If you want a time travel novel featuring adults grappling with personal problems, a novel that may leave you scratching your head, go for The House on the Strand. This entry was posted in Reading fiction, Reviews and tagged books, Daphne du Maurier, History, Ransom Riggs, Reading, review, time travel. Bookmark the permalink. 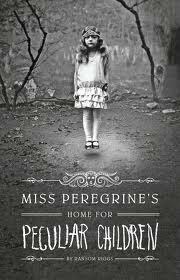 I happened on Miss Peregrine’s School For Peculiar Children through the online local library. I rolled my eyes at the first few chapters, thinking this was one of the many other lifeless books about young male protaganists who are jerks. Then, I got deeper into the mystery, and the magic within the book, I got hooked in. It’s a good read – not too deep, but a good story. Thanks for bringing that up. Riggs does do a good job of making Jacob unsympathetic at first, giving his character more depth than the others . . . fitting, as he’s the narrator.